Security deposits aren’t the only way to gain peace of mind that your tenants won’t cause damage to your rental property, which is especially good news for those landlords who either cannot collect deposits, or can’t collect enough to cover their losses. Asking for a security deposit will not help in the tenant screening process. The better bet: Choose tenants who won’t damage the property. Tenants who damaged a previous rental are at the greatest risk for doing it again. But you won’t know who those tenants are unless you ask. Look for good landlord references, along with any red flags, like addresses in the credit report that aren’t on the rental application. Because the credit report is created by a third party, the applicant won’t have the opportunity to conceal pertinent information. Landlord tenant interactions shouldn’t be adversarial. You are on the same team. Learn to communicate with the tenants well enough to develop a professional relationship. In a recent eviction case in British Columbia, the communication between the landlord and tenant was so poor that both turned to RCMP to resolve issues between them. Meanwhile, the property was neglected and the landlord incurred $5,000 in property damage. One of the best ways to prevent damage is to win the tenant’s cooperation, so that the tenant wants to care for the property. When something breaks, the tenant will report it before simple maintenance and repairs items turn into greater expenses. Encourage and praise tenants who are picky about the condition of the property. If dealing with the landlord becomes uncomfortable, tenants will either make do and ignore problems or complete their own repairs. Either way, the landlord is the one who stands to lose. Not all property damage is caused by tenants. Sometimes it’s simple neglect. This happens often when the property is rented long-term. Let’s say a tenant stays a year, then goes to month-to-month, and before you realize they’ve been there three years. Coincidentally, that’s the same lifespan of the average washing machine hose. A simple faucet or toilet leak can cause extensive damage if ignored long enough. Long-term tenants can become disgruntled as they see the value of the rental decline, and that can lead to apathy on their part. The maintenance needs of a particular property remain the same whether you rent to a series of short-term tenants or one long-term renter. Stick to the schedule and keep the property operating profitably. Make your lease agreement do the talking, and you can avoid property damage. In the case highlighted above, the lease was silent on many important items. There was no “meeting of the minds” when it came to everyday care and maintenance. As a result, the landlord could not prove that the damage incurred was the tenant’s fault. The security deposit was useless. 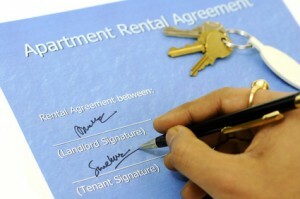 More than a way of winning disputes, the lease agreement is a road map for a successful tenancy. Make sure that the tenant knows what they are supposed to be doing to keep the property in good repair, avoid water or fire damage, and keep pests at bay. Never depend on security deposits,it should be your last option to retrieve the losses incurred by the tenant. The above article gives a good to do list for for property owners to make effective use of security deposit.